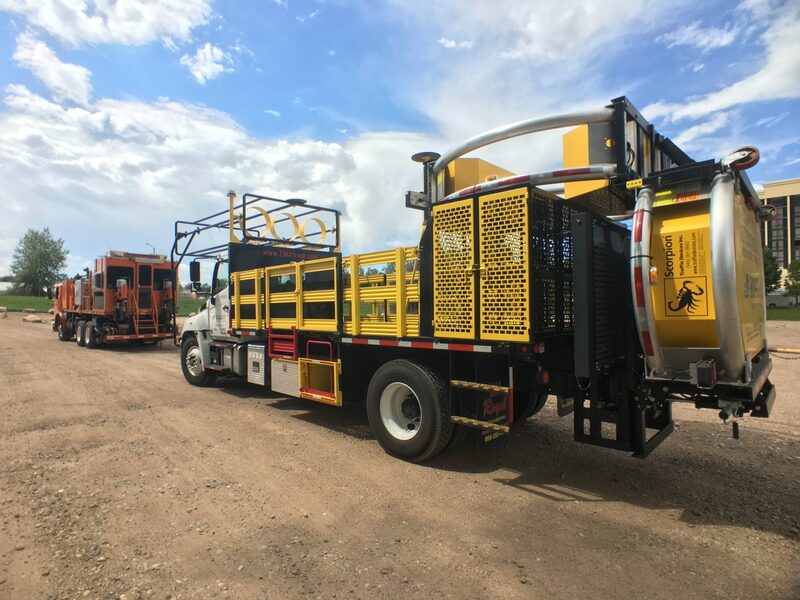 On Friday August 18th, we at Royal Truck & Equipment were proud to showcase our autonomous impact protection vehicle (AIPV) in a live highway work zone in Fort Collins, Colorado. If you did not get a chance to see the live stream of the event while it was happening, you can watch the press conference and live demonstration in their entireties on our YouTube page. We understand there was a lot of information to take in during this historic event, so to make sure you did not miss anything important, here is a recap of Friday’s live AIPV demonstration. The next speaker was Martin Knopp, associate administrator of operations with the Federal Highway Administration. 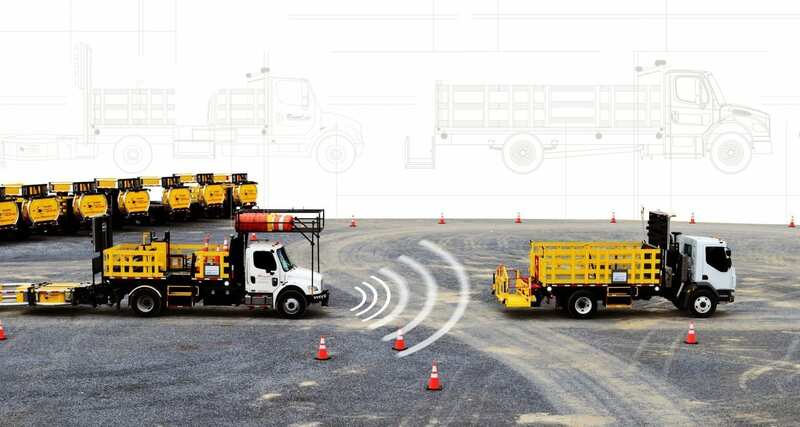 Knopp made his point very clear when talking about the current state of TMA trucks: “We don’t want people in these trucks.” He said that a crash happens every 5.4 minutes in a work zone and that there are 12 fatal work zone crashes per week in the United States. The AIPV, he suggested, will absolutely help protect workers in the work zone. Once the press conference was over, the live demonstration of the AIPV began. This demonstration was a simulation of a striping operation done on Centre Avenue, just south of Colorado State University’s campus, in the heart of Fort Collins, Colorado. The demonstration showcased the Leader/Follower technology, whereas the AIPV was utilized as the follower vehicle and maintained a constant gap between itself and the lead vehicle. If you watch the live stream, you can see footage of the actuators in the AIPV actually driving the unmanned vehicle. Overall, the operation lasted about 17 minutes and went extremely smoothly on all fronts. If you did not get the chance to view the demonstration live, do not worry! We have posted the entire stream of the events on our YouTube channel for you to watch! 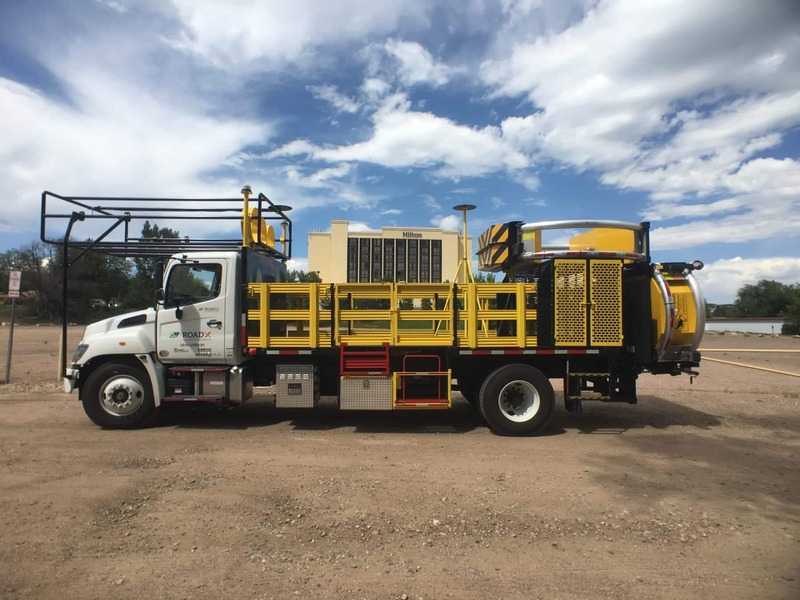 If you have any questions about the AIPV, feel free to ask us by submitting the question form at the bottom of the Autonomous page of our website or by emailing us directly at marketing@royaltruckequip.com!